I moved nearer to the center now to New Creation Guesthouse, to be more accessable and meet people for interviews and storytelling – but first a bit about the history of the project. 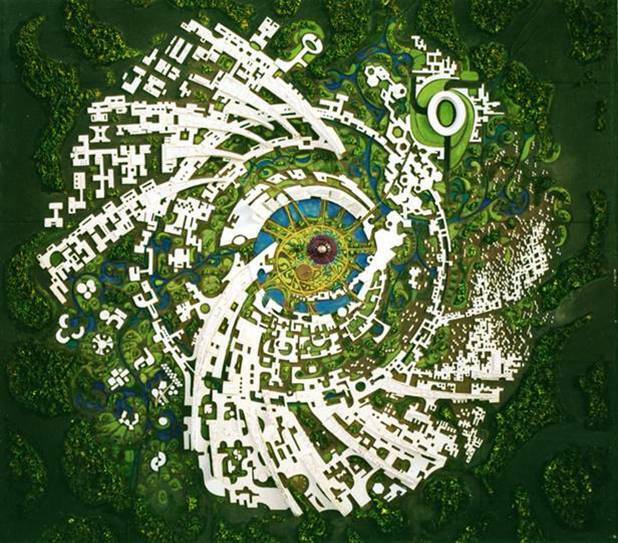 Auroville is the biggest ongoing experimental intentional community that currently exists. It celebrates its 50th birthday this year, culminating in a big celebration at the Inauguration Day on Febuary 28th. 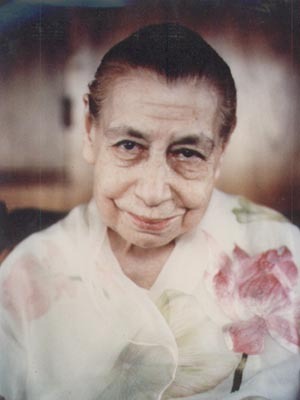 The “city of dawn” was an initiative of Mira Alfassa, commonly referred to as The Mother, a French woman who became the spiritual companion of the great Indian philosopher and teacher Sri Aurobindo. 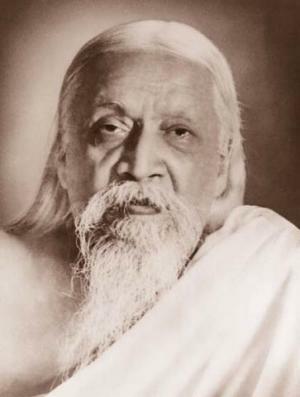 The vision of an ideal society – The City of God, appeared already about 1930 in Sri Aurobindos great poem Savitri (Book 1, poem 4) and also in Mira Alfassa’s writings from 1912 for a group of spiritual seekers that she inspired at that time in Paris. After a long period of mental and spiritual preparation and several attempts that did not really succeed, finally in 1965 the practical concept and planning phase started. The famous French architect Roger Anger took on the task to develop a layout based on her vision. The plans were presented to the Indian Government and later to the General Assembly of the UNESCO. It received their approval and is supported even today by both bodies, as well as many other nations and organizations. 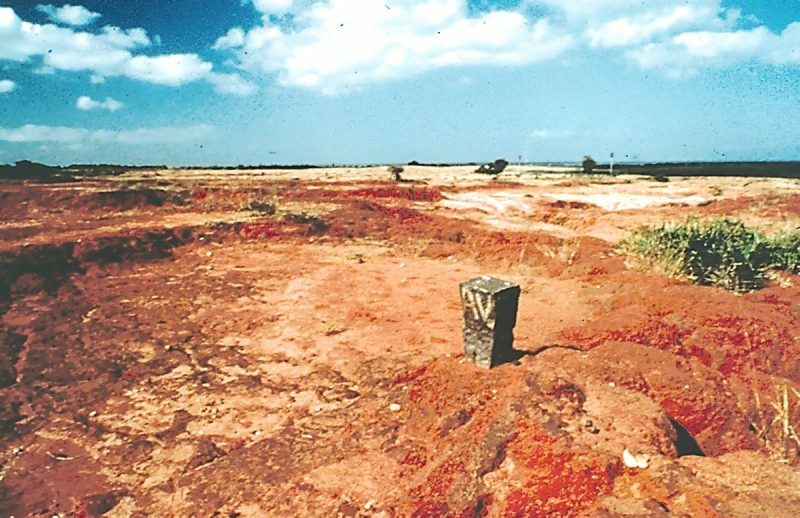 A piece of land was found, a barren desertlike plateau bereft of trees, which had been used to built the nearby city of Pondycherry. All fertile soil had been washed off into the sea by the monsoon, leaving behind a waste land with deep canyons. The land was declared non inhabitable by the Indian Government. Nonetheless the Mother put her finger intuitively on a map to locate the central point of the future city, and this happened to be exactly were an old Banyan tree stood, which can still be visitited today. 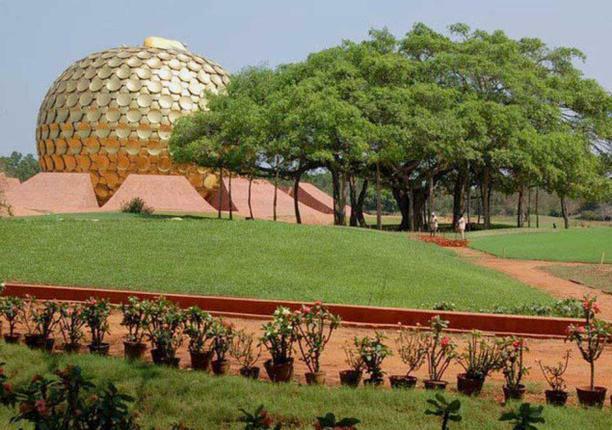 Later th socalled Matrimandir, the spiritual center of Auroville was built right next to it. From the geographical center a circle of 20km was drawn that marked the borders of the township. Roger Anger planned a city with various functional areas for altogether 50.000 residents. 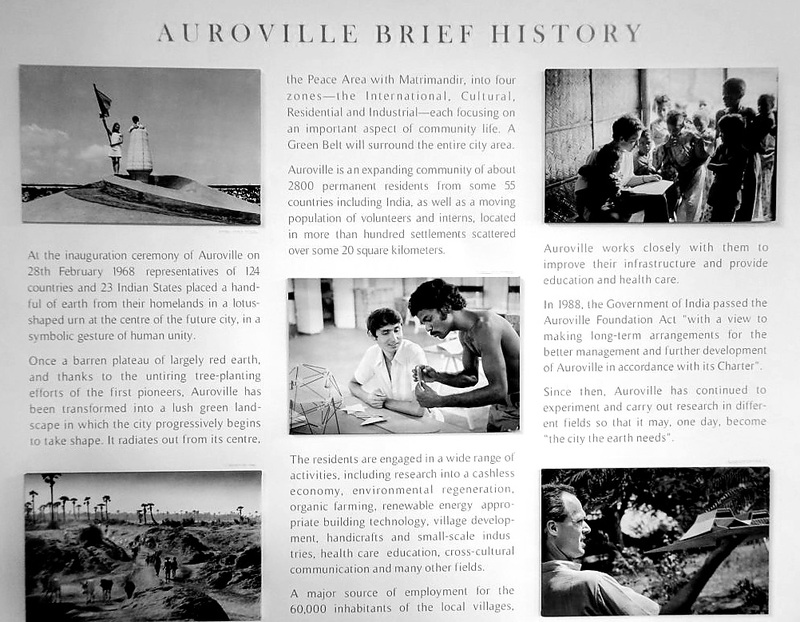 Auroville “the city that the world needs” was inaugurated and given its charter at the 28th of February 1968. About 5000 people from all over the world came to witness and celebrate this moment in history. Young representatives of 124 nations brought soil from their countries to be put into the beautiful white marble urn at the Amphitheatre next to the Matrimandir.